Batman, Superman, New York City, the storm blew in. Which is regarded as one of this year’s most important films Batman, Superman, dawn of Justice” movie premiere was held in New York. 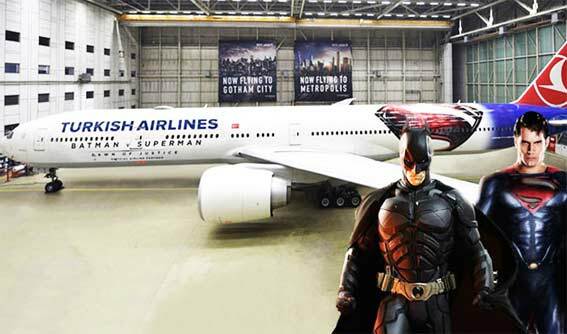 Turkish Airlines is the main sponsor of his film, Batman and Superman characters at the same time on the big screen for the first time brought. Premiering at Radio City Music Hall, The Star of the film, Affleck (Batman), Henry Cavill (Superman), Gal Gadot (Wonder Woman) and Jessie Video (Lex luthor), Director Zack Snyder, Warner bross, CEO of Hollywood famous actor will Smith and Kevin tsugihar of famous names from the world of first impressions and to share some of the excitement. Among home owners, including Chairman of the Board of Directors of DHA to the premiere of thy ayci ilker general manager, was attended by ertuğrul özkök Hürriyet newspaper writer uğur cebeci with.